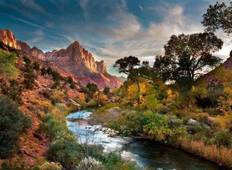 Find a Hiking & Trekking trip that explores Zion National Park. There are 45 tours to choose from, that range in length from 3 days up to 210 days. 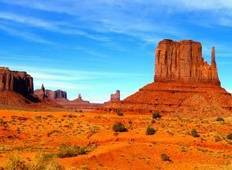 You will visit outstanding places like Zion National Park and Bryce Canyon National Park! "“Unique experience!! Best national parks tour from Las Vegas” Within 3 days I..."
"Over all the tour was good, but if you got the back seat was very cramped and u comfortable." "This tour surpassed all my expectations of North America, and showed me the real..."